September 2013 is almost over, so I’d better tell ye about some submissions I got. Well, they’re almost all submissions. The Complex Silence series from Treetrunk Records is always good. Always. I mean, some releases will appeal more than others to your tastes, but if you like long-form ambient, you really have to get the lot. This particular free release is classic stuff, a gauzy pillow of pads and gently shifting textures to soothe even the most troubled mind — and there’s a lot of it! Seventy-eight minutes to be precise. 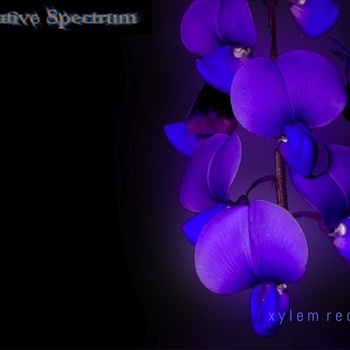 It’s not unlike the output we hear from the artists on Free Floating Music netlabel, which place an emphasis on tranquil and uplifting moods. 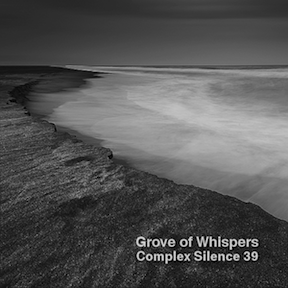 Apparently Grove of Whispers dabbles in a number of ambient subgenres, so I look forward to investigating further. I actually downloaded this a while back and just got around to it. Glad I did. 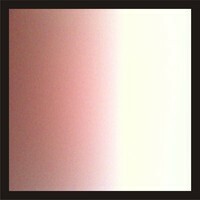 While this is an unobtrusive release, it’s very, very good sound art that utilizes the sweet tones of guitar ambient and guitar noise in the same way the great long-lost netlabel artist On_14 did, or other more well-known types such as Tim Hecker. There are also some lovely spectral vocals mixed in with the crashing waves of distorted space guitar. This four-track EP is pretty darn flawless for this kind of music, so I’m pretty sure we’ll be hearing some great things from Mr. Brant in the near future. 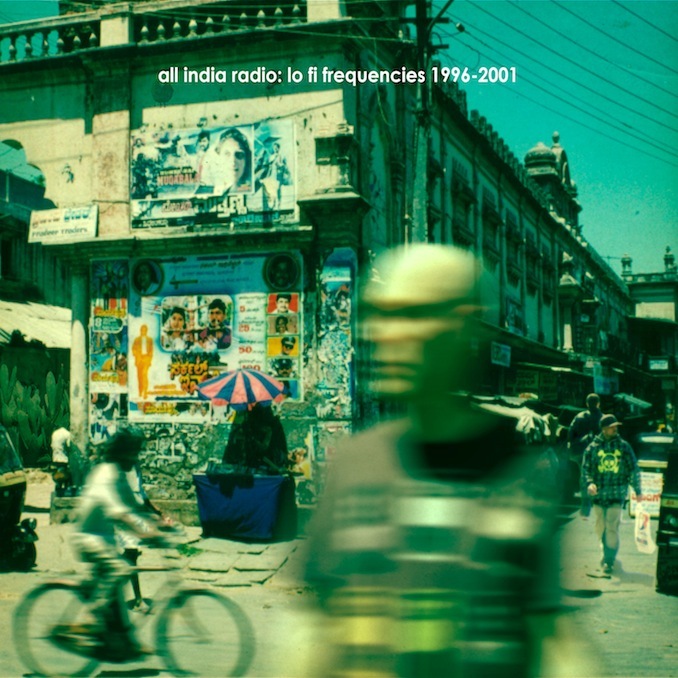 Martin Kennedy’s All India Radio is one of the finest “post-rock” combos on the planet, and has plenty of admirers so it’s quite generous of him to present this collection of cleaned up early works to us at “name your price” bargain. He’s done a nice job, because this stuff no longer sounds “lo fi”. The music is not the same style as the elegant Floydian/ambient chamber rock that All India Radio eventually pursued, but it’s nonetheless a pretty neat collection of um, IDM, I guess, some trip-hop elements and general electronica fun. The influence of ambient music is also quite palpable, though, on tracks like “Untitled 2” and “Loop”, offsetting the up-front meaty, beatyness of the rest of the tracks. If you like cool grooves, get a hold of this then the rest of the All India Radio discography. This album is for the more adventurous experimental ambient listener, being of the hissy, squeaky, metallic, squooshy sound art bent. 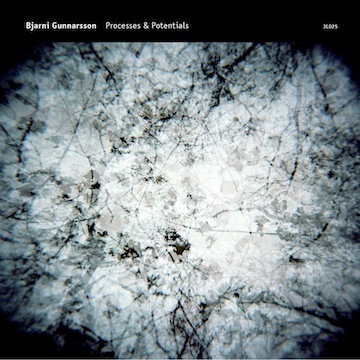 But Gunnarsson is pretty darn adept at manipulating mood with these pieces, which puts him in the class of such luminaries as Kim Cascone, Pan Sonic, Alva Noto (though not nearly as minimal) and Robert Henke (whose Signal to Noise must be considered a classic by now), as well as the clear influence of the very challenging genre of early tape music (Stockhausen, Dockstader, etc). Being who I am, the gong-like tones underpinning “Momentaries” are more my speed, but let’s say if you like this avant garde stuff, I guarantee you will find this an interesting and accomplished listen. 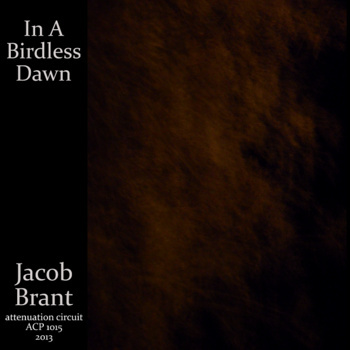 This dark ambient master in the making is back with yet another release. (see this post for a couple more) I wish I had this much industry! The Orchid Fades seems less conceptual than previous releases, is very different, showing a new side of the fellow, and is a fair bit more “ambient” in the typical sense. From lush synths to lush string synths and pretty pianos (check out “We Are Already Ghosts” and “The Orchid Fades”), this release shows a gentler, “neo-classical” side to Negative Spectrum that will appear to fans of acts like A Winged Victory for the Sullen and composers like Arvo Part, but with many dark, ominous pieces to satisfy those Vidna Obmana and Lustmord admirers out there. In terms of my own tastes, this album is a real winner, a beautiful collection of juxtaposed light and dark, beauty and disquiet. Not to be missed by those who like emotional and spiritual music. 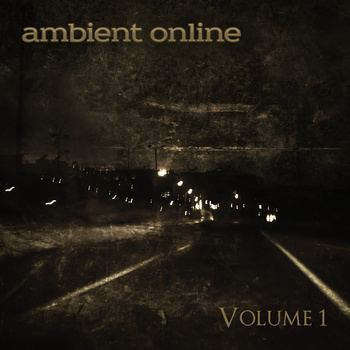 This is a compilation from the active and supportive Ambient Online forum, where today’s finest independent ambient artists gather to talk about their craft. Containing such talents as Negative Spectrum (see above), Jespis, and Utu Lautturi, this really is a great sampling of the amazing amount of talent out there, right from the first grandiose note of “Fallen and Forgotten” by All Sins Past. I don’t really want to point out too many tracks for fear of making it look like I’m missing someone, but I will say I really enjoyed the (early) Deuter-esque sitar of Tonecarver’s “The Letter” and the Berlin School sequencing on Ascendant’s “The Milky Seas”. But having listened to the whole thing a couple of times, I have to say every track here has something good to offer — no duds whatsoever. Sales of this very lengthy comp support the site, so I suggest you drop a few schekels, because it’s all good. Lunare Music is an ambient/post-rock label located in Brazil, and they saw fit to send me this really swell compilation, on which I can say there is not a single bad or uninteresting track. The pieces on this compilation vary, but there’s quite bit of dark and experimental ambient, and also a lot of instrumental post-rock. Visit ’em on Facebook. Highlights include the eerie, tense “Wailing of the Desert” by David Galas, the very pretty guitar on “Of Endings” by Since Their Inception, the glitchy “Tundra” by Virlyn, the space rock of “Snowblind” by A Beautiful Machine, and the quite lovely post-rock axework on “First Rays on the Horizon” by Rise of Day. It certainly sounds like this label is doing a great job of putting out quality space music and dark ambient, so you should visit the Soundcloud and Facebook links to hear more. Free download here.